Social phobia can have a significant impact on your daily life, especially if it is not treated. Researchers have worked to see how social anxiety affects you over time; you may be surprised by what they found! Read about it here. If you have social anxiety, you're probably eager to find information that can help you to overcome it. Having social anxiety can make you feel very lonely, so the sooner you can learn to defeat it, the better! Read some good tips for the socially anxious here. Is Social Anxiety Connected to Marijuana Addiction? Social drug use has long been a factor in drug abuse, especially in younger populations. But how does this apply to people who have social anxiety? Find out what new research is showing here! What do you think is a good way to help people with social anxiety to overcome their fear? If you think that learning to slowly open up to other people and interact with them without worrying is the answer, come read about social anxiety classes here. In the previous article in this series on social anxiety, you read about how social anxiety affects thought processes and, in turn, behavior in social settings. In this article, you will find out how anticipating a socially stressful situation can make the actual event more difficult to deal with. Social anxiety, or social phobia, is a particularly difficult disorder for people to cope with. The worst thing about it is that it makes it very challenging to have the healthy social relationships most people desire. In this series, you can learn more about thought processes in a socially anxious person as compared to a person who is less anxious. If you suffer from an anxiety disorder like Post-Traumatic Stress Disorder, social phobia, or Obsessive-Compulsive Disorder, you probably want to know as much about your condition as possible. A doctor offers some intriguing facts about anxiety disorders, which you'll find are a lot more common than you may think! Left untreated, social phobia can rob you of a lot of fun and enriching social experiences. Most people simply don't understand that even though you want to reach out to them, your anxiety makes you feel incapable of doing so. Come read about social phobia and how it affects your brain. Phobias can be extremely stressful and disruptive to one's life if they are left untreated. Fortunately, phobias are very treatable, and full recovery is possible for most people who seek out professional therapy and stick with it. Read how treatment for phobias may be enhanced. 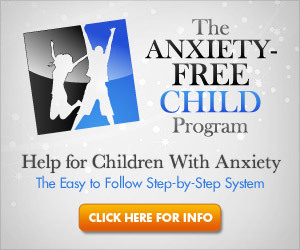 Children and teenagers can be affected with anxiety disorders just as adults can. Parents may be confused when this occurs, because the signs and symptoms may be more difficult to recognize in someone who is underage. Read this article to find out what anxiety conditions look like in kids.